Digital engineering is simply an art involved in the creation, collection, and integration of data using a digital skillset. This can be in product design, modeling, or in the manufacturing process. 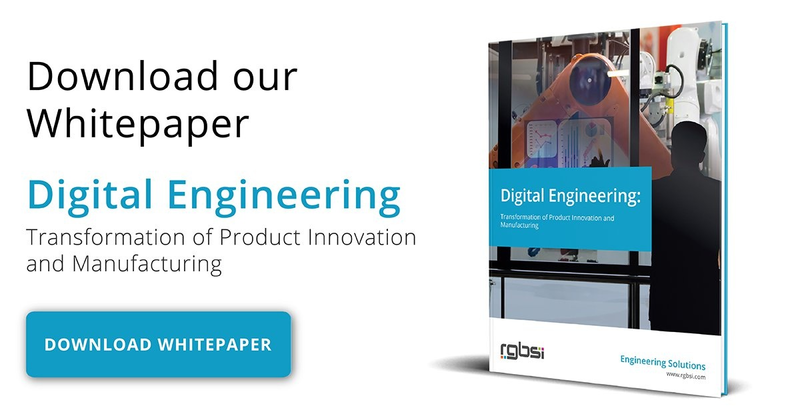 In essence, digital engineering incorporates automation, industry 4.0, and the digital thread in its endeavors. Industry 4.0 or the fourth industrial revolution is a standalone form of digital engineering. Unlike its predecessor, which advanced computers and automation to enable robotics as a supplement for the human taskforce along assembly lines, industry 4.0 integrates computers and automation in a whole new manner. Industry 4.0 remotely links computers to robots and assimilates high-end machine learning algorithms with the capabilities of programming and controlling robots. Thus, industry 4.0 brings on an interface of computer monitory systems that control physical processes on in a manufacturing floor. 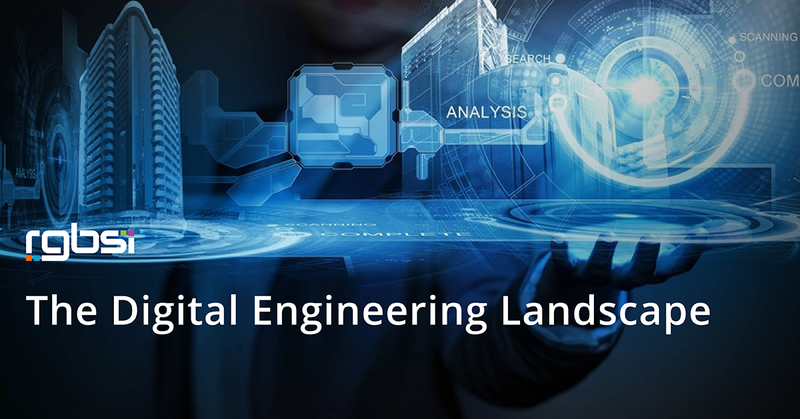 As a proponent of digital engineering, the digital thread consists of advanced modeling and simulation tools that link materials to the design, processing, and manufacturing system. As a result, the digital thread facilitates real-time evaluation of process potential to guide informed decision making for the future. In the modern technological world, connectivity and social networking are a norm. Consumers seek value for their money; therefore, they are active participants in the product design process to ensure products meet market demand. Digitizing manufacturing offers automated customization, flexible models, and analytical simulations to deliver personalized manufacturing to consumers. Fortunately, industries today have new technologies such as cloud computing, big data, mobile, and internet of things (IoT) that help weave in the digital thread to form a directional flow of information. These technologies connect various sectors of an enterprise for ease of collaboration, operability, product traceability, and quality management. This is particularly important in the aerospace industry where components are complex, demand for high quality with zero tolerances must be met, and expense reduction is crucial. From an engineering perspective, modeling has tremendously improved and continues to evolve. The initial 2D modeling techniques have advanced to 3D modeling techniques that are meshed with analytical simulations to determine the workability of the models under various conditions. Progressively, 3D models are now printable in what is called 3D printing through pairing computer aided manufacturing (CAM) and skilled coding. The end result of 3D printing is additive manufacturing techniques which are applicable for both prototyping and actual production. Additive manufacturing processes best align with model-based engineering (MBE) practices and the use of digital 3D models. An example of this is Boeing's 787 Dreamliner whose titanium parts were 3D printed. Additive manufacturing facilitates the creation of new products and is influential on the design process as complex components can be easily machined and the number of assembly parts are reduced. So what do advancements have to do with digital engineering? Ever heard of SpaceX or Tesla’s revolutionary electric cars such as its Model X? These are some of the advancements in technology today that shape the digital engineering landscape. Electric cars continue to challenge traditional automotive practices by subsidizing environmental and economic factors. Industries and environmental agencies are pushing for green energy and digital engineering will be the most viable solution to energy and environmental protection measures. The international energy agency forecasts that by 2030, there will be over 125 million electric cars in the world. This prediction is based on the 54% growth of about 3.1 million electric cars in 2017. With this progression, digital engineering will continue to play an instrumental role in the automotive industry. Similarly, SpaceX, a private company by Elon Musk, has had a breakthrough into outer space to land contracts from NASA and other governmental agencies venturing into space. Designing a rocket takes a team of prolusions engineers, structures, and avionics. The Falcon rocket designed at SpaceX integrates finite element analysis (FEA) and product data management (PDM) software coordinated by Siemens’ Teamcenter software solution. The entire SpaceX systems have NX software that provides for virtual mockups of the Falcon rocket to provide interfaces for designers and engineering components. SpaceX has fully digitized its operations at its factory through the design stage, processing, and manufacturing. In the end, digital engineering has propelled SpaceX as the only private company venturing into space. Another company that has embraced digital engineering is Boeing’s group of airplane manufacturers. The company uses an advanced digital toolkit collaborating augmented reality, IoT, advanced analytics, and cloud computing to solve complexities in the aerospace industry. Augmented reality helps train workers virtually on the production process, thus reducing real-time training on production floors. Currently, Boeing has a research project on augmented reality with the Digital Manufacturing and Design Innovation Institute (DMDII), a nonprofit federal organization committed to developing advanced manufacturing technologies and improving American manufacturing competitiveness. By tapping capability sharing, the two companies use 3D cameras with advanced computer vision algorithms and image processing in intent to create a simple intuitive approach to augmented reality. Thus, an expert can record instructions while performing a complex operation using the intuitive digital work instructions and unveil it to others for training purposes thereby reducing expenditures and increasing training resource availability.